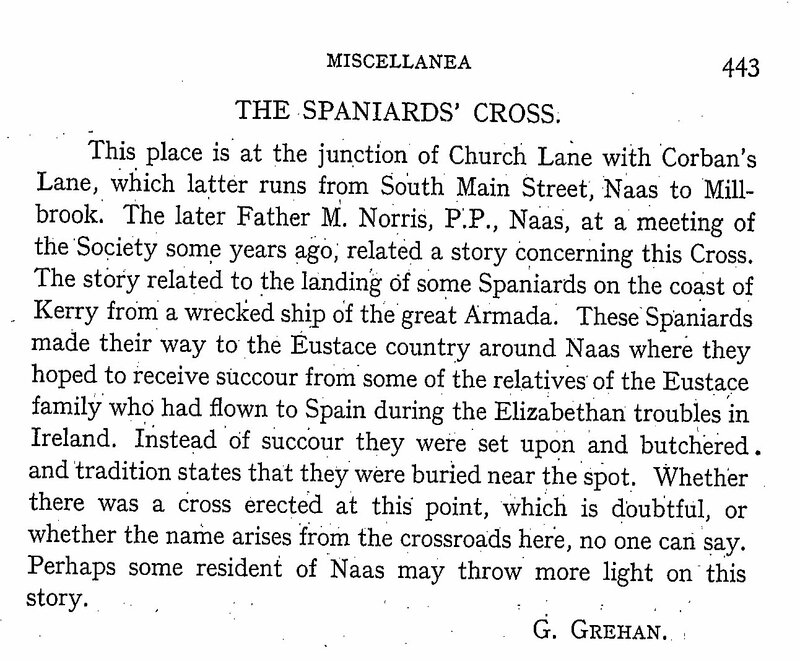 The following from the Miscellanea of the Journal of the County Kildare Archaeological Society, Vol XII, No. 8. 1944 & 1945. The local name of the field on which Scoil Iognaid Ris, CBS Secondary School, Naas is built is Fod Spainneach or Spanish Field. Local tradition has it that the Spaniards were put to death in that field. When the site was being prepared for the school 1957 or 1958 it was reported that a Spanish coin was found at a depth of four feet. 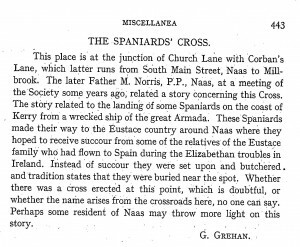 The field is within a hundred metres of The Spaniards’ Cross mentioned above.